St Mary and St Hilda. 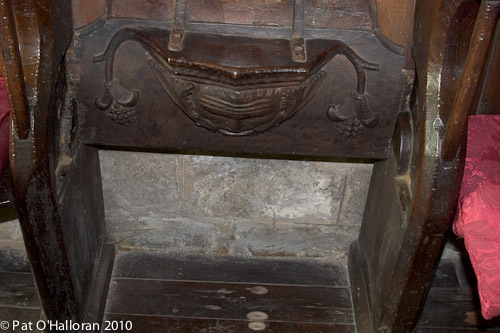 Misericord. Best shot I could get of this green man, it was very difficult to get the camera in position to obtain a better view.